Finally, I have found my happy place. Since reaching 70, I’ve been trying to find a good guild that fit well. As just about anyone thats interested in end game knows, this is not always a joyous adventure or one that ends happily. You don’t have a lot of options. You can join a guild that promises to take people to see end content, but just never seems to have the right number of players or the right number of classes to get the job done, so you just hang there, waiting. You can join a militaristic style guild, where everyone has to pull their weight, everyone has to be there on time, DKP is king and upper management watches meters like a hawk. If your not producing the right numbers based on some math nerd who’s never really played the game, you get yelled at to do better or you get booted. That last concept of a guild is a very strange one to me. Its very impersonable, guild leadership tends to run in “Clicks” that ignore everyone else, but their close buddies. Not a very fun or friendly atmosphere, but people put up with it just so they can say, “I’m seeing the new content” and get the gear they need. This also causes many guilds, that use this style, to fall apart or merge with same like minded guilds, because everyone is always looking for something greener and numbers start to go down. But who can blame them. I, on the other hand, have found a guild that is simply friendly. All my buds that I have in Real life and in the game, have migrated to this awesome guild, called Reason on Darkspear. Everyone works together. 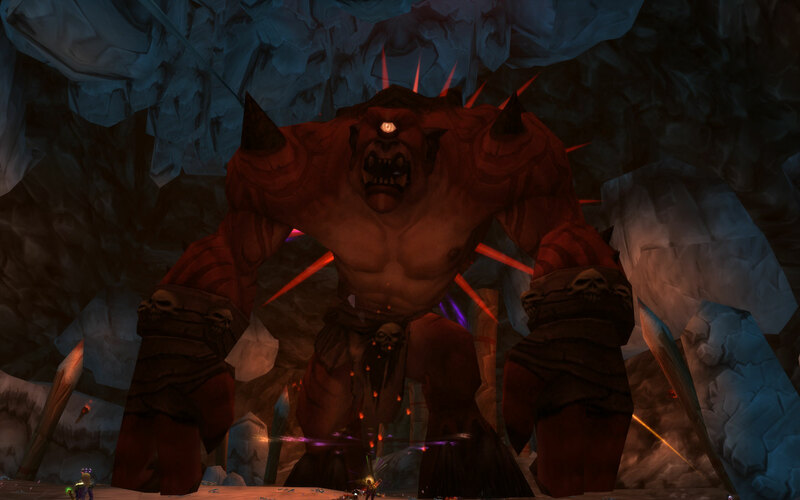 We have the same goals, which is to get everyone geared and be ready for the large instances like Gruul’s Lair. No one gets fussed at for missing a pull or not healing fast enough, but everyone is so into working together as a team that this really isn’t necessary to start with. Everyone knows their job and if they don’t, the big boys just take the time to work with people to get it right. They help with spec and gear options as well as other helpful tips to get the job done without a lot of pointing fingers or assigning blame to people. As you can tell, I’m pretty excited about this new guild, and I’ll tell you why. We ran Gruul’s Lair last night for the first time as a guild and managed to get all the way to Gruul’s himself , burned him down to 28% and this was with half the people a little under geared for the adventure. It was also my second time in there and to get that much done in one night was awesome. We managed to wipe a few times, but a lot of this was due to the learning curver of most of the guild not being there before. When people had to leave because of the lateness of the hour, raid leaders stepped up, grabbed more people to fill in spots and we continued on. We currently do not have a DKP system, which is awesome. If you needed a drop, you just roll for it. I think in the future, it will be a bit more complicated, but as long as they stay away from the DKP system, I’ll be happy. But for the guild never being in there before and getting as far as we did, I think that was a major achievement, but there is still more work to do if we are to succeed in the end. Since joining the guild, I’m doing instance grinding again and heroics. I got on the Gruul’s run last night and tonight will be my second time in Kara which should be fun. I think I have finally found a guild that is friendly and works as a well oiled machine. To those of you out there that are still not finding the right fit, I say keep looking. There is no need to settle. If your not happy, move, find a guild thats helpful. That understands the simple fact, that inorder for the guild as a whole to succeed, all the individuals must succeed as well. ~ by oakstout on January 29, 2008.